These Salted Caramel Chocolate Cupcakes just might be the perfect dessert. 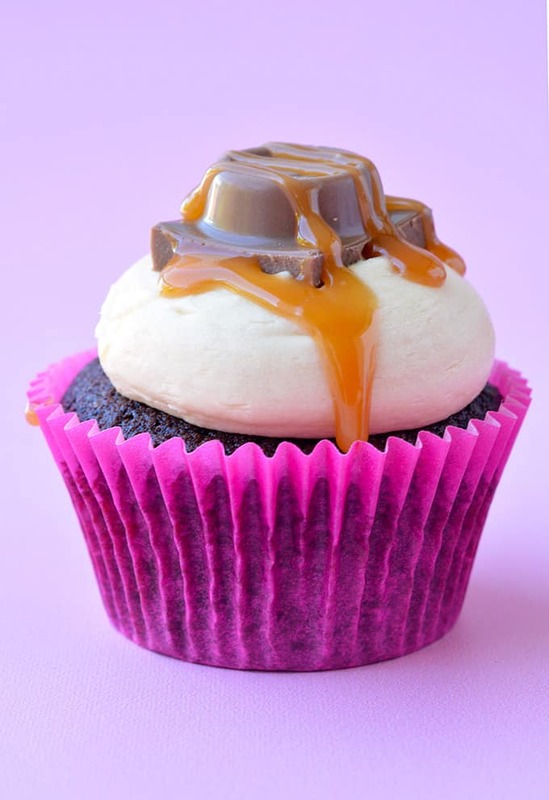 Soft chocolate cake topped with creamy caramel frosting, a drizzle of caramel sauce and a chocolate caramel Rolo. 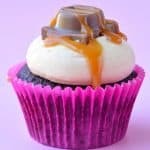 I’ve fallen head over heels for these Salted Caramel Chocolate Cupcakes. 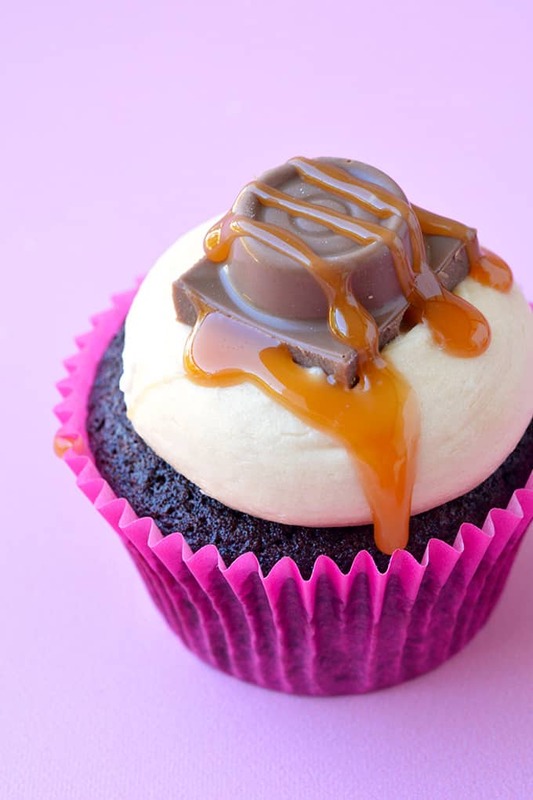 Tender chocolate cake topped with luscious salted caramel frosting and a chunky chocolate caramel Rolo. Is it just me or is caramel one of the best things on the planet? I can’t say no to caramel – in any form – caramel cake, caramel brownies, caramel truffles, caramel sauce. And now Salted Caramel Chocolate Cupcakes. 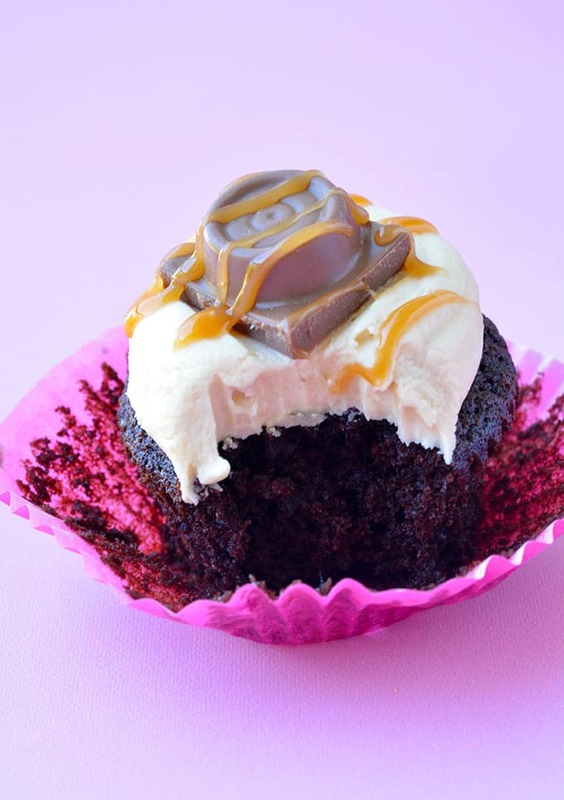 The salted caramel frosting on these cupcakes is definitely the star of this dish. There’s only one word to describe it – luscious. My tried and true chocolate cupcakes are the perfect pairing for the frosting. They’re light and fluffy, soft and sweet. And the only way I knew how to make these cupcakes even better? Add Rolos, of course! 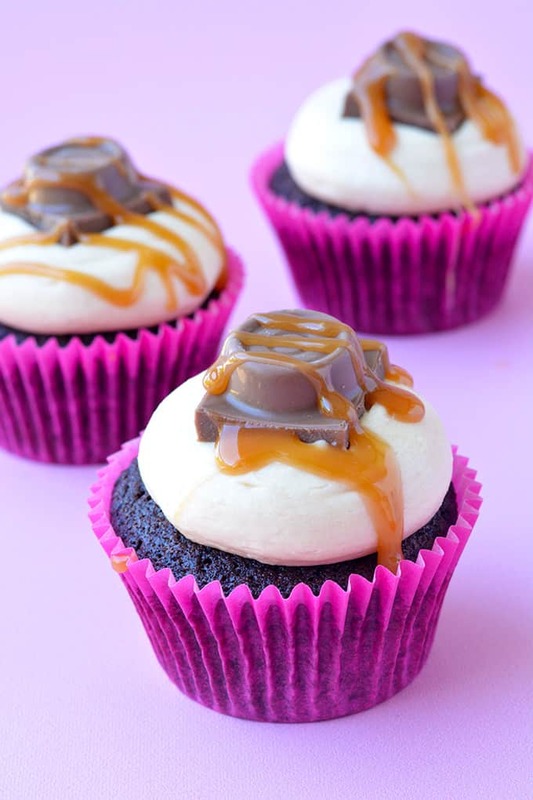 Chocolate cupcakes topped with creamy salted caramel frosting. Preheat the oven to 180 C (360 F). Line a 12 hole muffin tin with cupcake liners. 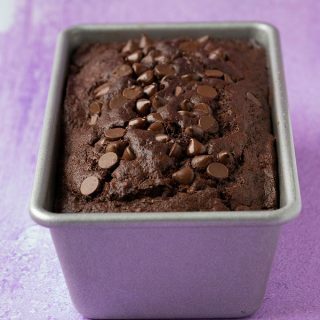 In a large mixing bowl, sift flour, cocoa powder, baking soda, baking powder and then add sugars. Pop the butter into the microwave for a short burst, 10 seconds or so at a time, until it becomes very soft but just before it is completely melted. Give it a stir with a fork to eliminate any lumps. In a separate mixing bowl, add the eggs, vanilla and butter and whisk together until smooth. Then add the wet mixture into the dry mixture, along with the buttermilk and gently fold until just combined. Spoon the mixture into the prepared cupcake liners and pop into the oven. Bake for 18 minutes or until just cooked through. Set cakes out onto a wire rack and leave to cool completely. To make the salted caramel frosting, beat the butter for a minute or two with an electric mixer until soft and creamy. Sift in the icing sugar, add the salted caramel sauce and start to beat. Add a tablespoon of milk and continue to beat. If it’s a little dry, add another tablespoon of milk. It should be thick and creamy. Once the frosting is ready, pipe onto cupcakes using a piping bag fitted with a large round tip. 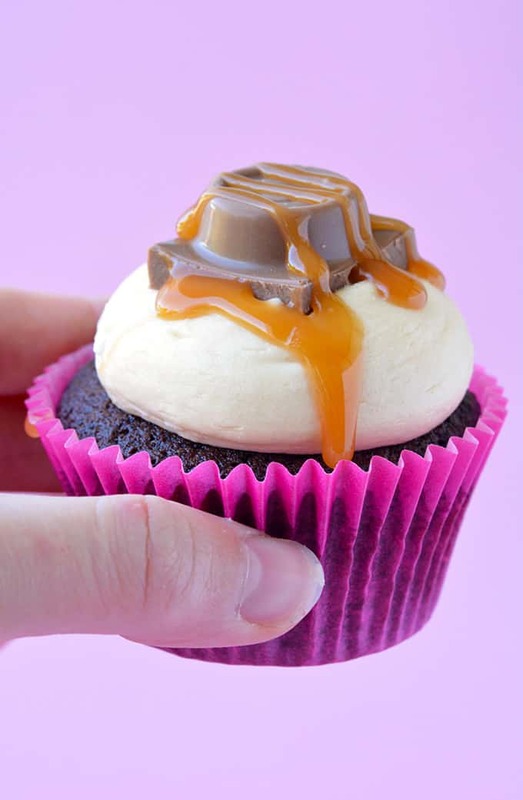 Drizzle with extra caramel sauce and top with a chocolate Rolo. 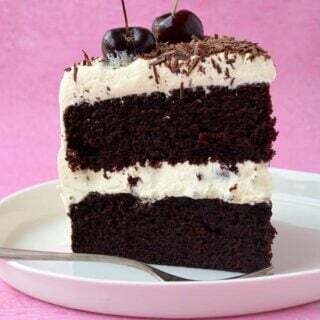 This recipe was first published on Sweetest Menu in March 2015. These cupcakes look so delicious! 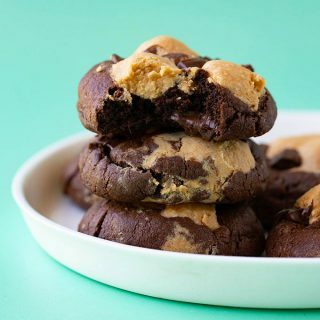 I love chocolate and salted caramel together!